We have investigated green energy nanogenerator such as piezoelectric and triboelectric nanogenerator for self-powered small electronics system. Recently, the number of small & portable electronics is rapidly increasing for health care monitoring system, wearable device and sensors for IoT system. However, all of these electronics energy source are battery which has certain life span whether it can rechargeable or not. Due to its limited life time, battery is replaced by person one by one. However, it is impossible to check all battery on time. Therefore, the demand and interest of self-powered electronics are increasing. The most suitable energy source in environment condition what sensor is exposed is mechanical energy so converting mechanical energy to electric energy is great candidate for future energy source. For example, nanogenerator-embedded touch screen using touch fingertips, environment sensor with sound & wind sensitive nanogenerator, architecture sensor with vibration sensitive nanogenerator and semipermanent energy source for biomedical device using blood pressure, muscle movement and blood vessel expansion. In conclusion, we will realize self-powered system converting external environment energy to electric energy using nanogenerator. 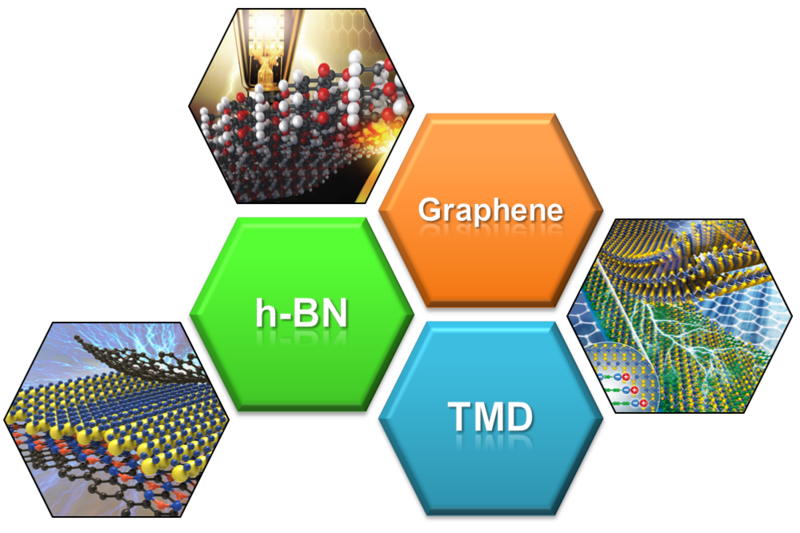 We also have investigated two-dimensional (2D) materials such as graphene, h-BN nanosheet, transition metal dichalcogenide (TMD) nanosheet. We synthesis large scale and high quality 2D materials and design/develop electric device utilizing 2D material`s special and outstanding property. Until now, 2D materials have confirmed its optic property, mechanical property, electric property for various electric applications. Even though 2D materials have unlimited potential, still realizing device is much challenged. One of the difficult things is large scale & high quality growth of 2D materials and the other is sensitivity of 2D materials which are easily affected by various interface coupling effects to change its property. In conclusion, we synthesis large scale & high quality 2D materials based chemical vapor deposition and we investigate optic & electric property of homo/hetero 2D materials structure with 2D/other bulk materials. We also focus on to realize developing/design 2D electronics. 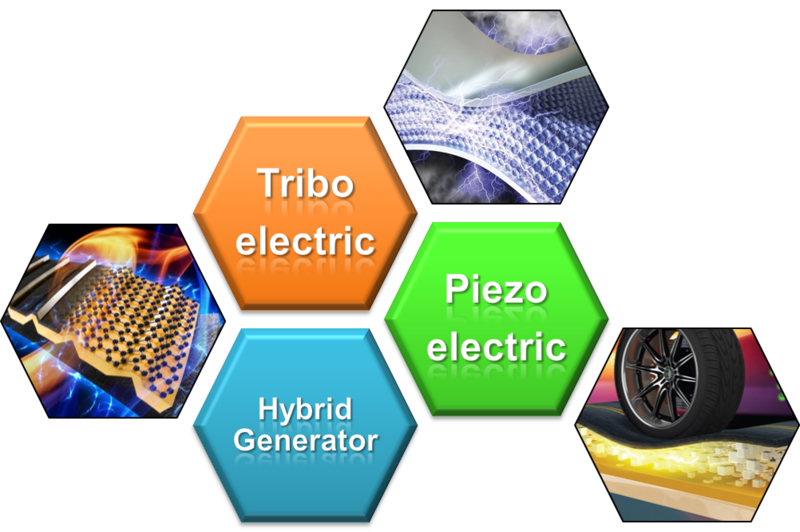 "Piezoelectic, Triboelectric and Hybrid Nanogenerators"